Don't head out to explore a new frontier without your wallet! 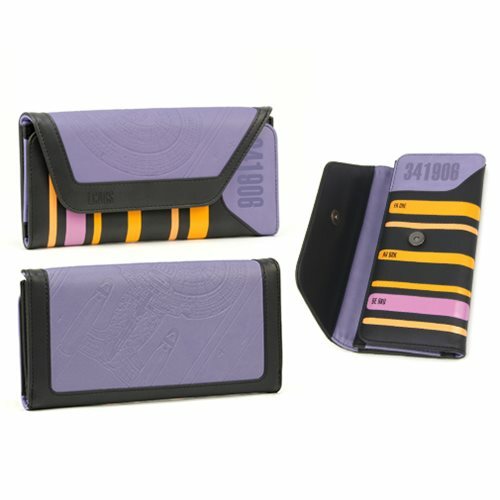 Keep your space currency in this Star Trek: The Next Generation PADD Ladies Wallet is made of faux leather with an LCARS print on the exterior and an Enterprise art deboss. This handy wallet includes 7x card slots, 2x cash pocket.